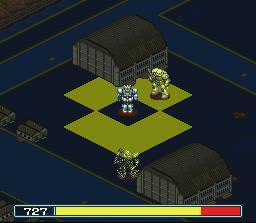 The Zeon troops have finally managed to infiltrate the Federation's base and your job is to stop the advancing troops. 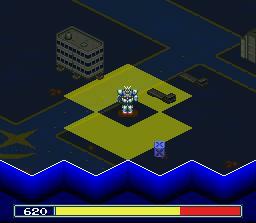 This is the first mission that you'll see a new map being used in 0080 and the first mission you have to tackle with only the Gundam. Once you move away from your starting position you'll realize that you had been standing on the only epac in the mission. Remember where this is! It may come in handy. 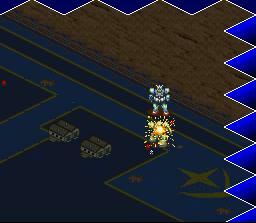 In the second area two of the three mobile suits will be positioned in between the two buildings in the center with the last mobile suit being positioned above that northern building. The Efreet seems to have had a major drop in the power department since your last encounter. 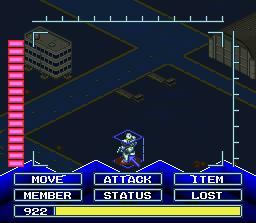 It will hardly ever deal more than 100AP damage, but what it has lost it seems that Zaku's have gained. You and the Gundam should still be more than a match for them. 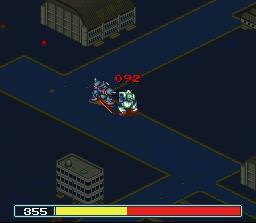 You must chase the Zaku's down and fight them five times each. 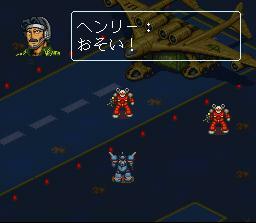 After there 5th defeat they will blow up like the other two in the previous mission. With or with out its comrades the Efreet moves further into the base to complete its mission, which to me seems like stopping the Medea from leaving the base (I could and probably am wrong on this). 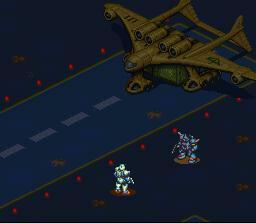 The Gundam reaches the runway only to discover that his two friends (the Guncannon pilots) have been destroyed by the Efreet. 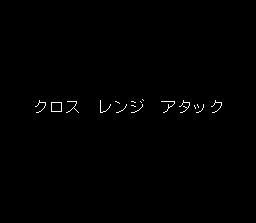 Fortunatly, however, the Medea is able to take off.